Yandex is an established Russian-language internet product services company. Everything from a search engine to eCommerce services and mobile applications is made available to the millions of Russian speakers around the world. 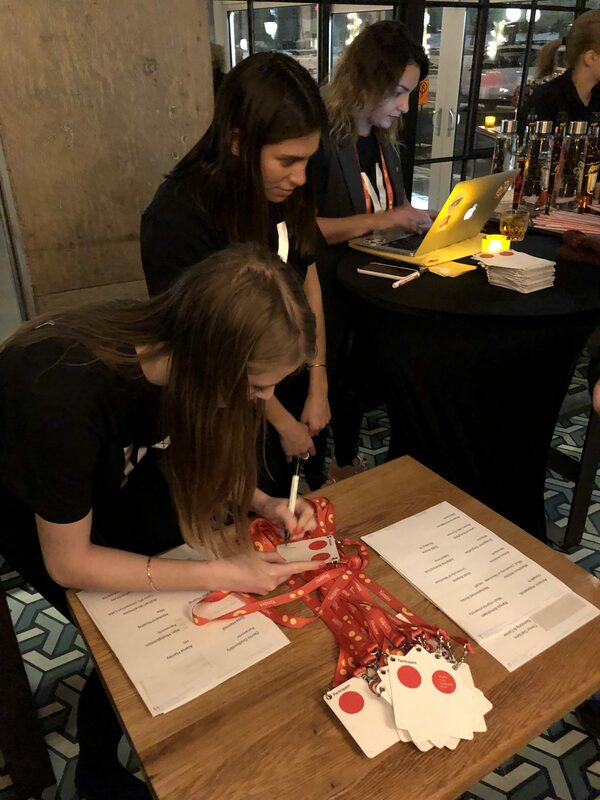 In 2018, Yandex asked Fervent Events to plan an upscale evening networking event for Russian speakers attending the NeurIPS 2019 conference in Montreal. 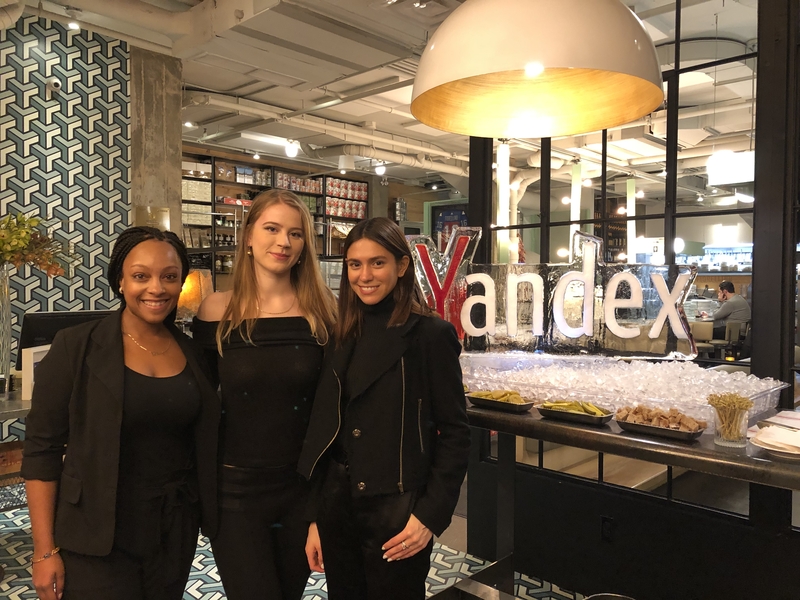 Yandex wanted to create a comfortable and fun event for Russian-speaking professionals working in tech – the focus was to be on the food, drinks, and a generally relaxed atmosphere. 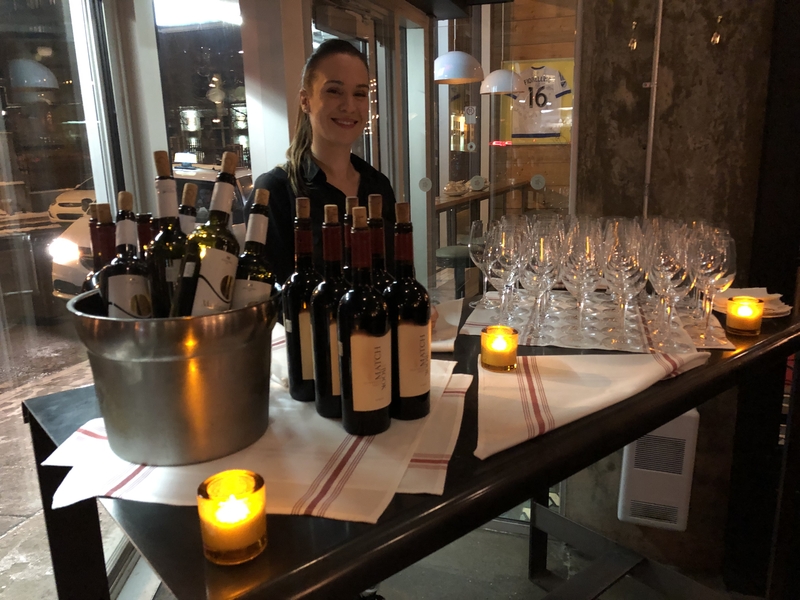 After many discovery trips, food tastings, and artist interviews Fervent found the perfect venue, close to the conference center, that would make an unforgettable night a short walk away for the guests. Fervent Events organized and staffed a cocktail networking event for 150 attendees, handling all decisions big and small to make the perfect party. 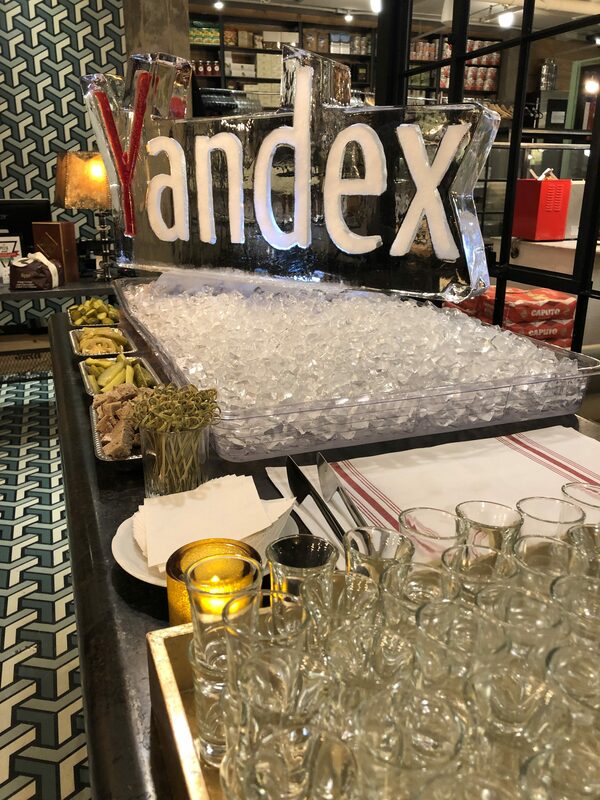 A spectacular evening event, with 100+ people in attendance enjoying a carefully curated menu of traditional Russian bar snacks and cocktails, in a backdrop of ice sculptures, decorations, custom lighting, and a selection of client-requested music. It was a pleasure to collaborate with Fervent Team on the event in one of the largest Canadian cities. The team was really client-oriented and proactive. Despite a few (objective, not depending on either of the Parties) technical difficulties along the way it was great that we had managed to build mutual trust and hold an event that was a big success. We appreciate Fervent for this collaboration!